incorporating not only more than 5000 art videos and films, but also an astonishing number of screening programs (so-called pre-images) and an even more comprehensive collection of divisionistic (virtual) images, these pre-images were generating. Although “video” had not such a relevance yet, because the technology was not advance enough in 2000, moving images were most relevant in terms of creating multi-media contents for net based applications, in form of Java based, Flash based animations and gif – animations. Because using video in his artistic applications on the net, Agricola de Cologne developed a kind of straeming media via programming and included video in net based contents when the technology did not provide broad bandwith Internet connection, yet. For project envoronments like “A Virtual Memorial Foundation” that kind of video belonged to the standard tools, in 2001 the artist created his first standing alone, partially interactive videoworks in 2001 starting to establish contacts to many festival around the globe, which was intensified when he created in 2003 his first linear video outside of the net to be shown mainly in physical space, on festivals and media art exhibitions. In 2003, he was invited by Biennale of Electronic Arts in Perth /Australia to create a global networking project to be presented during this event, entitled [R][R][R] –> XP – Remembering, Repressing,. Forgetting – a project dealing with memory in most different ways, focussing on different digital media. While this project was running until 2006 online, two media art platforms, eg. VideoChannel and SoundLab wwere extracted and continued since 2004 as standing alone media art projects. 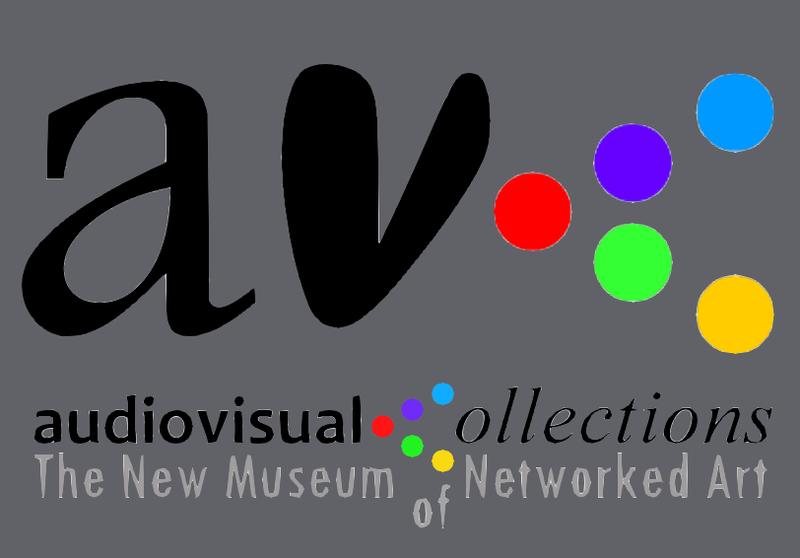 VideoChannel was the one dealing with moving images, but developed soon to a worldwide respected curatorial platform. As its chief curator, Agricola de Cologne curated curators for VideoChannel, which represented, at that time, an enormous provocation, nowadays its usual. In 2005, Agricola de Cologne recognised the necessity to establish a specific interactive mediart platform in form of a festival, and founded CologneOFF – Cologne Online Film Festival. Hardly released online, the programs curated by Agricola de Cologne were generating so much interest, that he was invited to present these programs on established film festivals, so that in 2006/2007, he took this development into account and modified the name of his festival to CologneOFF – Cologne Internatuonal Videoart Festival, based on a dual system operating simulataneously online and in physixcal space via networking partner festivals. The concept established CologneOFF as a festival without a static festival location, but instead of this a mobile festival, which was running from 2010 on as CologneOFF nomadic (CologneOFF 20xx- videoart in an global context), a most successful idea to export art & culture from Cologne to the rest of the world. Even if Agricola de Cologne was not the first one, who had such ideas of a travelling festival, he was one of the fist who organised it so consequently under a new artistic concept, because the festival was travelling and its director was accompanying it whenever it was possible, but not the programs were travelling, because as a curator Agricola de Cologne prepared for each of 20-30 annual venues individual screening programs based on the respective recent festival edition. A real curatorial challenge! In 2014, CologneOFF was celebrating this way, its 10th anniversary and a travelling campaign again including 26 venues around the globe. But working with moving images was representing different directions in dealing with moving images at the same time. Simultaneously, when Agricola de Cologne was developing his festival platform CologneOFF, he had extensive curatorial activities on VideoChannel – publishing each month another curatorial feature of “videoart” from another county. After 10 Years, VideoChannel was finalized as a media art project in 2013. As a meanwhile historial project, VideoChannel found many followers all over the world. While Agricola de Cologne was running these two very time intensive activities around “art & moving images”, he got the idea to focus again on the topic of Holocaust, a continuation of his project “A Living Memorial”, he realised 1995-1998. After an open call in Internet in 2009, it became obvious that most submissions by artist were videos, so that he lauched on 27 January 2010, the International Holocaust Day, a very ambitionated project of “Shoah Film Collection”, a worldwide unique media art and peace initiative addressed to young generations of artists and filmmakers to deal with the topic of SHOAH by using new technologies and perceptions in order to keep vivid the memory of the collective trauma by sensitizing people via art, respectively new media in art, like moving images. Shoah Film Collection, again, became the basis for two further directions of activities around moving images, the collection became basis of Collective Trauma Film Collections, dealing with collective trauma caused by totalitarianism wordwide, and the other direction, that Shoah Film Collection became the center of an experimental event structure, entitled. 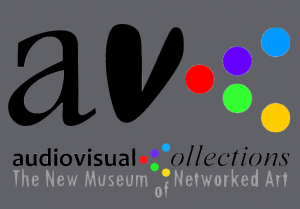 AVMCI _ A Virtual Memorial International Center for Commemorative Interventions, placing Shoah Film Collection into complementary interventions like screenings, lectures, a symposium, exhibitions, artistic performances, artists talks and discussions an much mre, in order to activate the artists, as well ans the audience. This was a kind of counter concept to the usual consuming of films and videos via screenings or exhibitions, a strongly interactive component involving the audience, making the audience participate in processes to be initiated. Agricola de Cologne got such ideas of audience involvement actually earlier when he made his experiences with his travelling festival CologneOFF. Since 2010, when he initiated CologneOFF nomadic, he was searching for the ideal form of presenting videoart to the audience. So much can be said, there does not exist an ideal form, but approaching an ideal is generating profound motivations and creativity, so each time when he was personally attending venues while CologneOFF was travelling around the globe, he was experimenting with new forms of representations and audience involvement, so that during many years, Agricola de Cologne made unique and extraordinary experience by experimenting. The results of the extensive curatorial activities with VideoChannel, CologneOFF and recently Shoah Film Collection and the individual handling of curating, each curatorial act, has to be considered as an artistic act, according on how Agricola de Cologne understands curating as an artistic act. Preparing a screening program always means to prepare the conditions for images to be manifested in each visitor individually, so that the respectives programs have to be undestood as the condition for generating virtual images. So, these programs, pr more precise “pre-images” have an enormous artistic value for the museum, since they form the bases for more different interpretations based on the visitors own expiences. In the concept of Le Musee di-visionsite, these programs have a particular relevance as so-called “pre-images”, they do not form themselves such a virtual images, but running the programs is generating the “real” virtual images inside of the spectator, and they are of particular interest, especially by experimenting finding an ideal form for presenting “art & moving images” to an audience. The artistic aspect goes far beyond the individual art work in form of an artist’s film or video which can be reviewed online & offline, also beyond the images the curated compilations were and are generating. In this way, the museum is hosting a unknown number of unknown divisionistic images via the “pre-images” of the screening/exhibition programs generated inside of the viewer as the result of the applied interactivity. The museum collection is in this way not only virtual, but also partially invisble to the visitor of the museum, although a shadow of these images is always present via the “pre-images”.